J.K. Rowling's Harry Potter franchise will add a new breed of accolades to its magically expandable trophy room next month. With a record-breaking 11 Olivier Award nominations for an original production, Harry Potter and the Cursed Child is all but guaranteed to reap some becrowned statues. The Oliviers are to London's West End productions as the Tonys are to New York City's Broadway show. In 2008, Hairspray also got 11 nominations, albeit for a preexisting show. See what Cursed Child is competing against with the full list of nominees. Groundhog Day, a musical headed to Broadway shortly, got eight nominations. 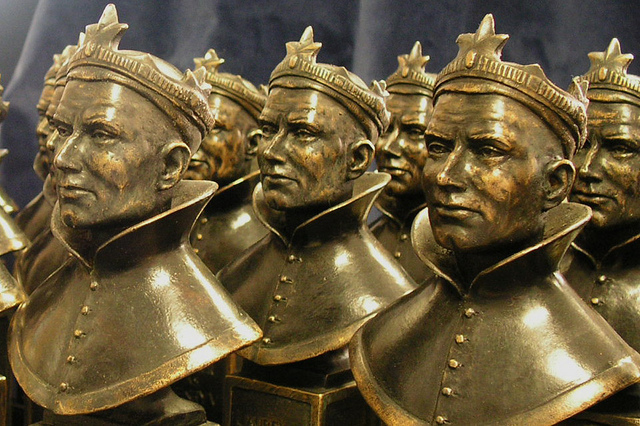 The 2017 Olivier Awards go down April 9 at London's Royal Albert Hall.